Access keys are keyboard shortcuts that improve the usability and the accessibility of your Windows applications by providing an intuitive way for users to quickly navigate and interact with an app's visible UI through a keyboard instead of a pointer device (such as touch or mouse). See the Accelerator keys topic for details on invoking common actions in a Windows application with keyboard shortcuts. A keyboard is indispensable for users with certain disabilities (see Keyboard accessibility), and is also an important tool for users who prefer it as a more efficient way to interact with an app. 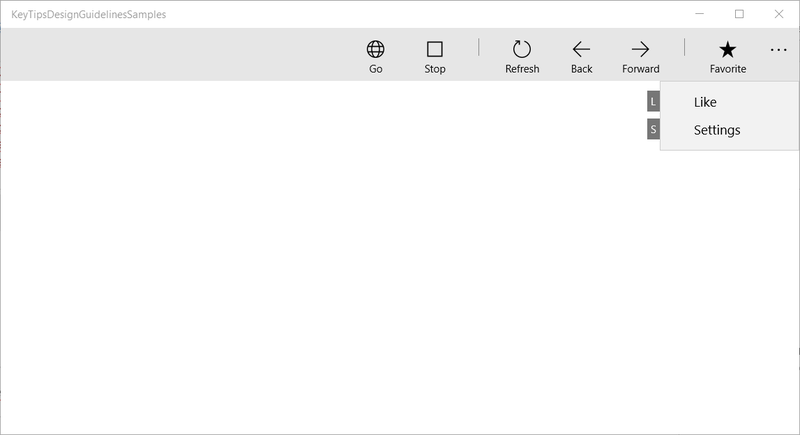 The Universal Windows Platform (UWP) provides built-in support across platform controls for both keyboard-based access keys and associated UI feedback through visual cues called Key Tips. An access key is a combination of the Alt key and one or more alphanumeric keys—sometimes called a mnemonic—typically pressed sequentially, rather than simultaneously. Key tips are badges displayed next to controls that support access keys when the user presses the Alt key. Each Key Tip contains the alphanumeric keys that activate the associated control. Keyboard shortcuts are automatically supported for access keys with a single alphanumeric character. For example, simultaneously pressing Alt+F in Word opens the File menu without displaying Key Tips. Pressing the Alt key initializes access key functionality and displays all currently available key combinations in Key Tips. Subsequent keystrokes are handled by the access key framework, which rejects invalid keys until either a valid access key is pressed, or the Enter, Esc, Tab, or Arrow keys are pressed to deactivate access keys and return keystroke handling to the app. Microsoft Office apps provide extensive support for access keys. The following image shows the Home tab of Word with access keys activated (note the support for both numbers and multiple keystrokes). To add an access key to a control, use the AccessKey property. The value of this property specifies the access key sequence, the shortcut (if a single alphanumeric), and the Key Tip. We recommend that you specify access keys wherever appropriate in your UI, and support access keys in all custom controls. Access keys make your app more accessible for users with motor disabilities, including those users who can press only one key at a time or have difficulty using a mouse. A well-designed keyboard UI is an important aspect of software accessibility. It enables users with vision impairments or who have certain motor disabilities to navigate an app and interact with its features. Such users might not be able to operate a mouse and instead rely on various assistive technologies such as keyboard enhancement tools, on-screen keyboards, screen enlargers, screen readers, and voice input utilities. For these users, comprehensive command coverage is crucial. Access keys make your app more usable for power users who prefer to interact through the keyboard. Experienced users often have a strong preference for using the keyboard because keyboard-based commands can be entered more quickly and don't require them to remove their hands from the keyboard. For these users, efficiency and consistency are crucial; comprehensiveness is important only for the most frequently used commands. When there are many elements on the screen that support access keys, we recommend scoping the access keys to reduce cognitive load. This minimizes the number of access keys on the screen, which makes them easier to locate, and improves efficiency and productivity. For example, Microsoft Word provides two access key scopes: a primary scope for the Ribbon tabs and a secondary scope for commands on the selected tab. The following images demonstrate the two access key scopes in Word. The first shows the primary access keys that let a user select a tab and other top level commands, and the second shows the secondary access keys for the Home tab. Access keys can be duplicated for elements in different scopes. In the preceding example, “2” is the access key for Undo in the primary scope, and also “Italics” in the secondary scope. 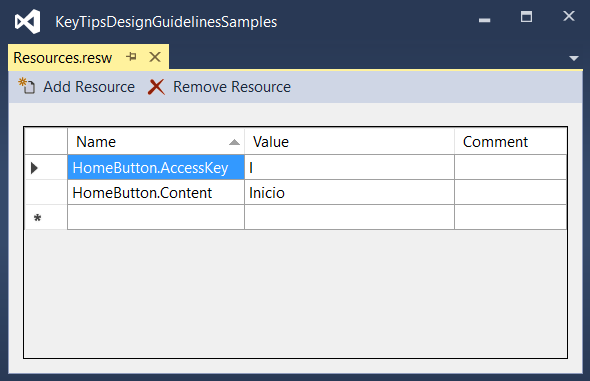 Here, we show how to define an access key scope. 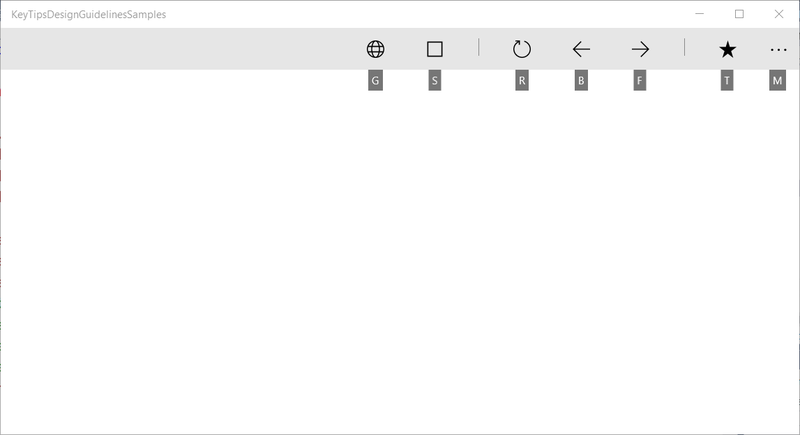 Prior to Windows 10 Fall Creators Update, some controls, such as the CommandBar, didn’t support built-in access key scopes. The following example shows how to support CommandBar SecondaryCommands with access keys, which are available once a parent command is invoked (similar to the Ribbon in Word). //This is not neccesay given we are automatically pushing the scope. Access key collisions occur when two or more elements in the same scope have duplicate access keys, or start with the same alphanumeric characters. The system resolves duplicate access keys by processing the access key of the first element added to the visual tree, ignoring all others. When multiple access keys start with the same character (for example, “A”, “A1”, and “AB”), the system processes the single character access key and ignores all others. Avoid collisions by using unique access keys or by scoping commands. Use a vowel from the command name. If your app is going to be localized in multiple languages, you should also consider localizing the access keys. For example, for “H” for “Home” in en-US and “I” for “Incio” in es-ES. 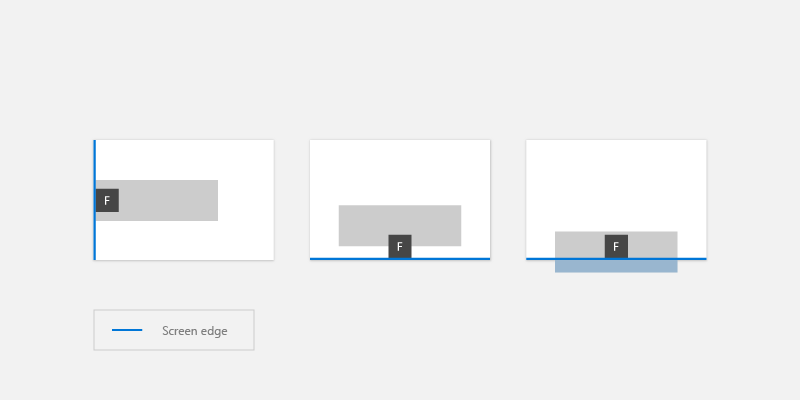 Key tips are displayed as floating badges relative to their corresponding UI element, taking into account the presence of other UI elements, other Key Tips, and the screen edge. Typically, the default Key Tip location is sufficient and provides built-in support for adaptive UI. Obvious association principle: The user can associate the control with the Key Tip easily. a. The Key Tip should be close to the element who have the access key (the owner). b. The Key Tip should avoid covering enabled elements that have access keys. c. If a Key Tip can’t be placed close to its owner, it should overlap the owner. Discoverability: The user can discover the control with the Key Tip quickly. a. The Key Tip never overlaps other Key Tips. Easy scanning: The user can skim the Key Tips easily. a. 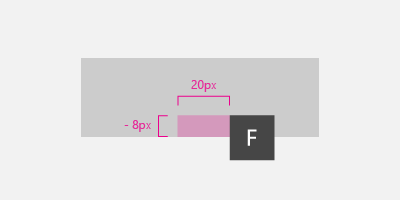 Key Tips should be aligned with each other and with the UI Element. b. Key Tips should be grouped as much as possible. Use the KeyTipPlacementMode property to customize the placement of the Key Tip on a per element or per group basis. The placement modes are: Top, Bottom, Right, Left, Hidden, Center, and Auto. The center line of the control is used to calculate the vertical and horizontal alignment of the Key Tip. They following example shows how to set the Key Tip placement of a group of controls using the KeyTipPlacementMode property of a StackPanel container. Use the KeyTipHorizontalOffset and KeyTipVerticalOffset properties of an element for even more granular control of the Key Tip location. Offsets cannot be set when KeyTipPlacementMode is set to Auto. The KeyTipHorizontalOffset property indicates how far to move the Key Tip left or right. example shows how to set the Key Tip offsets for a button. The location of a Key Tip is automatically adjusted based on the screen edge to ensure the Key Tip is fully visible. When this occurs, the distance between the control and Key Tip alignment point might differ from the values specified for the horizontal and vertical offsets . 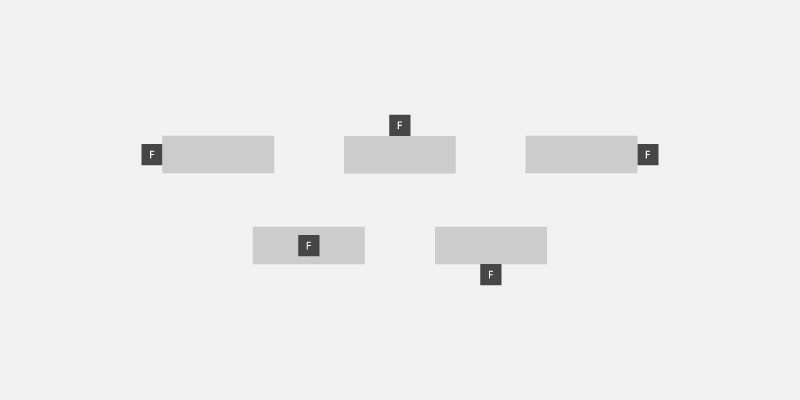 We recommend using the built-in Key Tip support for platform themes, including high contrast. 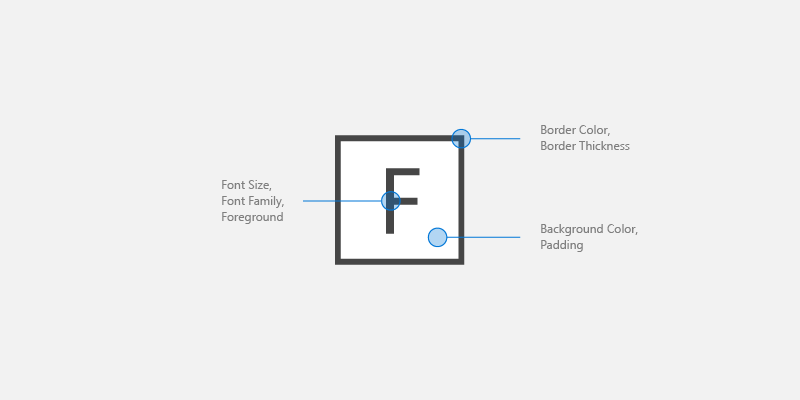 If you need to specify your own Key Tip styles, use application resources such as KeyTipFontSize (font size), KeyTipFontFamily (font family), KeyTipBackground (background), KeyTipForeground (foreground), KeyTipPadding (padding), KeyTipBorderBrush(Border color), and KeyTipBorderThemeThickness (border thickness). 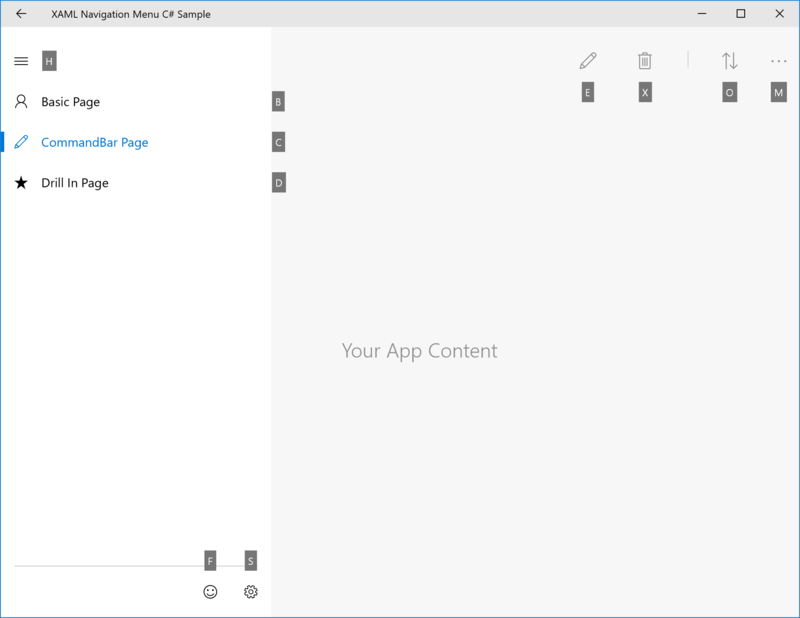 The XAML framework exposes Automation Properties that enable UI Automation clients to discover information about elements in the user interface. If you specify the AccessKey property on a UIElement or TextElement control, you can use the AutomationProperties.AccessKey property to get this value. Accessibility clients, such as Narrator, read the value of this property each time an element gets focus.